Madonna declared her love for ex-husband Sean Penn while at a charity fundraiser. The 58-year-old Material Girl hitmaker organised the event to raise funds for her charity Raising Malawi, which helps orphans and disadvantaged children in the African country of Malawi. The nation is close to the pop star's heart as that’s where her adopted son, David Banda, and adopted daughter, Mercy James, are from. James Corden hosted the gala, and celebrities including Leonardo DiCaprio, Chris Rock, Bethenny Frankel, Paris Hilton, Courtney Love and David Blaine were in the audience at the $5,000-a-head event (R69 440) at Art Basel in Miami, Florida, on Friday. 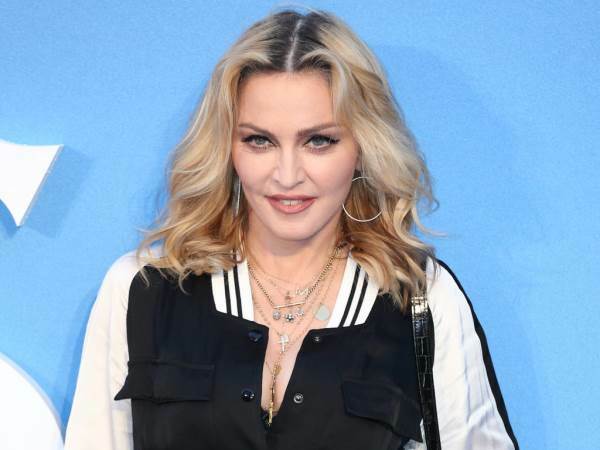 Madonna auctioned off a variety of personal items, raising more than $7.5 million (R104 million) in the process, and managed to rope in her ex-husband Penn to part with some cash for a good cause. When the singer's Swarovski crystal-covered dress by Jeremy Scott for Moschino from her Rebel Heart Tour came up for sale, Penn was locked in a bidding war with pop star Ariana Grande, who modelled the dress onstage and kissed Madonna after the pair danced together. "I’m still in love with you,” Madonna told her ex-husband, and said she would marry him again but only if he bid $150,000 (about R208 3140) for the dress. The Oscar-winning actor did just that, and went on to win the dress for $160,000 (about R222 2016) "You can come over and wear it in my place anytime," Penn cheekily told Grande. Among the other items that went under the hammer included rare photographs from her 1985 wedding to Penn, by the late Herb Ritts, which ultimately went for $230,000 (about R319 2756). Penn joined his ex-wife on stage as their wedding snaps were being sold, and restrained her with a pair of handcuffs. "For once, he's not the one being arrested," Madonna joked of the actor, who also crawled thorough her legs to coerce the audience to bid higher. The pop icon also performed during the evening, treating the crowd to a slowed-down version of Britney Spears' Toxic as images of president-elect Donald Trump appeared on a large screen behind her. Madonna took to Twitter on Saturday to share her joy at the fundraiser's success, even after reportedly partying until 4am. "Last Night. Was an overwhelming and resounding success!! Im am so grateful to so many people! @RaisingMalawi," she wrote.